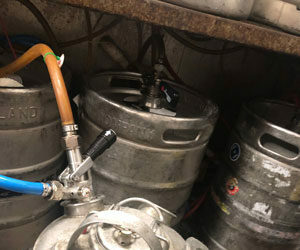 Serving your beer on draft can be one of the greatest joys of homebrewing . . . or the most frustrating. Learn some of the keys to keeping your draft system balanced and clean to assure a happy pour every time. The main challenges of counter-pressure bottling are to retain the beer’s carbonation and minimize its exposure to oxygen during the transfer. When performed correctly, almost all of a beer’s carbonation is retained when it is counter-pressure bottled. Likewise, with a little practice, the beer can be transferred with minimal exposure to oxygen. Learn how with pointers found here.